My co-workers are trying to convince me that we’re dead ringers for each other. I’m not sure that I’m convinced. Now, here’s a photo taken of me today. 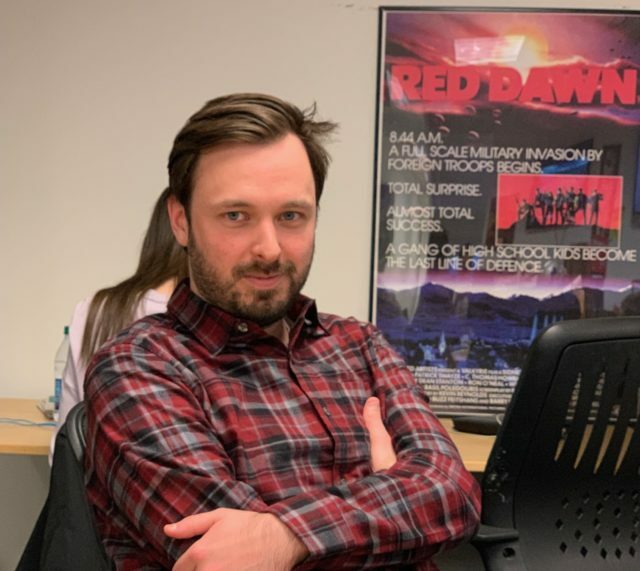 Yeah, there’s a “Red Dawn” poster in the background. Let’s not make a big deal about it. We can get into my fascination with shooting communist invaders some other time. We know it’s not the eyes, because there’s not another person on the planet rocking the crystal blue eyes that I am, and that’s a fact. Was Al a lovable character on the Tim Allen-led hit show? Sure. Everybody liked him. He was funny, he was charming, he was always good for a good joke and he seemed like the kind of guy you cheer for, but he isn’t. See, I’m born with possibly the best genetics in the history of internet blogging. My parents are two world-class athletes and I myself am in the middle of training for an NFL comeback. With free agency about to open up, I’ve never been in better shape. When you look at Al Borland, you think of a guy that likely works in a workshop. There’s nothing wrong with that. That’s a badass job. However, when you look at me, I believe most of you see a cross between Calvin Johnson, Michael Phelps, Russell Wilson and a shorter LeBron James. That’s why I was so shaken today when I read this comparison and it soon blew up the internet. Guys that look like Al Borland aren’t exactly filling up NFL rosters. So, I reject this comparison on a physical appearance grounds. One of us is an elite athlete and the other was on a hit TV series. That’s just sometimes how the world works itself out. If you think I’m wrong, then feel free to let me know. However, I think most of you will agree with my assessment of this wild debate.